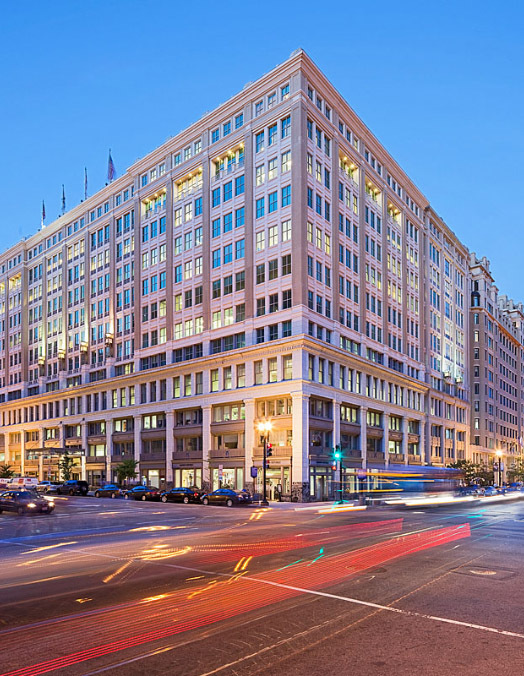 The Client information provided in this Electronic Client Portal is meant to provide you with a better understanding of 601 Thirteenth Street, NW and to facilitate your company's operations. There is a great deal of information contained within this portal; take the time to familiarize yourself with this portal and it will become a valuable resource for you and your company. Please note that the Building Management Office is available to help in any way possible. Your first call for any problem or question can always be directed to the Property Management Office at 202.638.3000 or the service request portal, and we will assist you from there. Every attempt has been made to provide current and accurate information in this portal, however it is possible that some items will change over time. The Property Management Office will promptly notify you of any such changes. Please feel free to contact us with any questions you may have. We are here to serve you. Welcome to 601 Thirteenth Street, NW a premier Akridge property.